blankets, umbrellas, and chairs, depriving Alan of his privacy and seclusion—the fundamental touchstones of his life. Resigned to endure another seasonal onslaught of beach-goers, Alan believes there is nothing he can do but prepare for the worst. How many times have we heard an obliging parent tell a frustrated child, “you’re too young to understand” or “someday you’ll know what it means to . . .”? I suppose it was their way of explaining away the uncomfortable, awkward questions of youth, often done to protect a child’s innocence. And while their intentions may have been in the right place, I’ve often wondered if those moments of inquiry, when the mind is most receptive, are times to be seized, to influence with wisdom as well as knowledge. To paraphrase Wayne Dyer, when the student is ready, the teacher will appear—even though the lesson to be learned is a hard one. 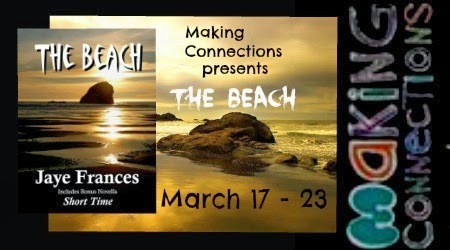 In the following excerpt from The Beach, the main character, Alan, is engaged in conversation with Efil, an unusual stranger who has offered Alan the opportunity to wield incredible power over life and death. As Alan evaluates the possibilities, his single-minded analysis focuses only on one selfish concern—the cost. “And then you tell me what it’s going to cost, right?” Alan’s voice was dripping with caution. “Understandable.” Efil nodded, the movement releasing a thousand tiny points of light that zipped back and forth inside the blue transparent cloud—the display clearly intended to remove any lingering doubt about his ethereal nature. For most people, making such a choice would have been a daunting, even overwhelming challenge. But not for Alan. He had known from the start what he wanted. And while he could easily describe the end result, he wasn’t exactly sure how to accomplish it. 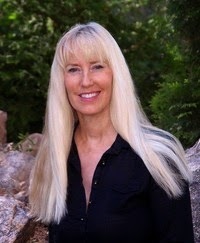 Jaye Frances is the author of The Kure, a paranormal-occult romance novel, The Possibilities of Amy, a coming-of-age romance novella, The Cruise-All That Glitters, a humorous adult satire about love on the high seas, The Beach, a sci-fi supernatural tale about the possibilities—and horror—of wishful thinking, Love Travels Forever, a collection of poignant and touching short stories, and the upcoming adult erotica series, World Without Love, to be released Summer 2014. Born in the Midwest, Jaye readily admits her life’s destination has been the result of an open mind and a curiosity about all things irreverent. 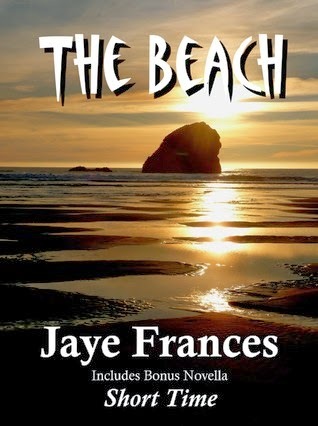 When she’s not consumed by her writing, Jaye enjoys cooking, traveling to all places tropical and “beachy,” and taking pictures – lots of them. Jaye lives on the gulf coast of Florida, sharing her home with one husband, six computers, four cameras, and several hundred pairs of shoes.